Lief Simon is the boss over at Offshore Living Letter, which produces publications and offers services to help people internationalize oneself and their financial interests. He has lived in several foreign countries himself and put his good word to practice in internationalizing his life and assets. There are various reasons individuals should consider planting flags overseas and Lief sits down with us to discuss why it is important. We go into detail on each flag with actionable steps individuals can take to get started on each. Banking, Residency, Citizenship, Asset Protection, and Business Incorporation round out the 5 flags. While internationalizing oneself is not immediately on the minds of everyone, it’s important to understand what situations may arise now or in the future that may provide personal and financial benefits to you. 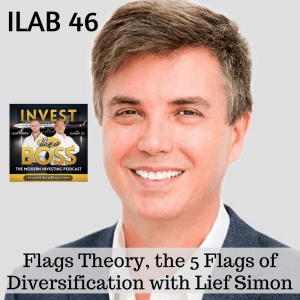 Listen to this full episode for an introductory to Flag Theory with Lief Simon. Listen to ILAB 46 on iTunes here or subscribe on your favorite podcast app.